Advertiser.ie - Charles and Camilla to take in the delights of Lough Cutra Castle during Royal Visit? Charles and Camilla to take in the delights of Lough Cutra Castle during Royal Visit? 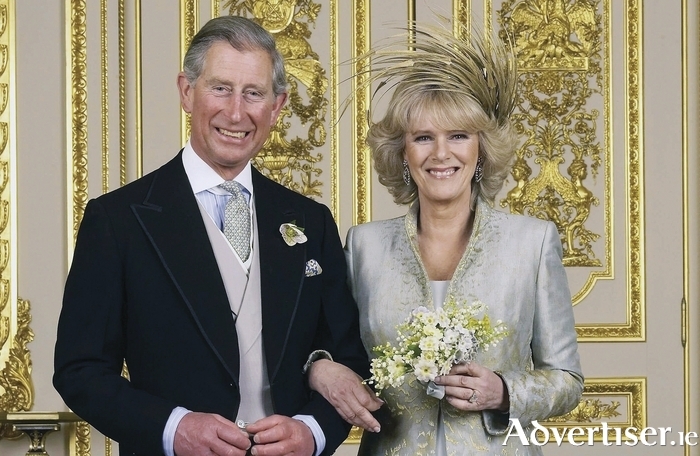 It is believed that a State visit later this month by Britain's Prince Charles and Camilla, Duchess of Cornwall will include a trip to South Galway. There are plans being put in place for the couple to possibly visit Lough Cutra Castle, which is located on the outskirts of Gort. The royal visit will take place from Tuesday May 19 to Friday May 22, and it is thought the Galway stopover may occur on the first day. Since the trip was announced last month, there has been intense speculation about the locations which the couple will visit. It is also understood that the short programme will also involve Mullaghmore in County Sligo, where Prince Charles’s great-uncle, Lord Mountbatten, spent summer holidays - and subsequently died - following injuries sustained in an IRA bombing of his boat in 1979. The Department of Foreign Affairs said the schedule will include both official and private engagements. A spokesperson for Clarence House, the prince’s official residence, would not confirm if a visit to Lough Cutra was on the itinerary, but an operational note is due to be released giving more detail about the kind of engagements Charles and Camilla will be undertaking. This will be Prince Charles’ third trip to Ireland. He undertook the first official visit to the State by a member of the British royal family since independence when he travelled to Dublin in 1995. He returned again in 2002. A spokesperson for Lough Cutra Castle said she could not comment on any high profile guests being welcomed at the venue. However, it is no surprise that the royal couple is considering taking in the delights of Lough Cutra due to its beauty, and the rich history which is associated with the castle and its grounds. Indeed, the estate can be traced back as far as 866. In 1797, the estate was inherited by Colonel Charles Vereker. At that time it comprised around 12,000 acres. Colonel Vereker, who later became Viscount Gort, employed the world renowned architect, John Nash, to design the Gothic style building known as Lough Cutra Castle. While the exact dates of construction are not known, building began around 1809 and went on for a number of years. The original building included 25 basement rooms and the cost of construction was estimated at 80,000 pounds. The Viscount Gort was forced to sell the estate in the late 1840s, having bankrupted himself as a result of creating famine relief. Lough Cutra was purchased by General Sir William Gough, an eminent British general. The Goughs set about refurbishing the castle to their own taste and undertook further construction work, adding large extensions to the original building, including a clock tower and servant quarters. In the 1920s the family moved out of the castle as they could no longer afford the running costs. The castle was effectively closed up for the next 40 years. The estate changed hands several times between the 1930s and the 1960s when it was purchased by descendants of the first Viscount Gort. They took on the task of refurbishing the castle during the late 1960s. Having completed the project, they decided to sell up. It was then bought by the present owners, UK aristocrats, the Gwen-Jones family. The castle is not open to the public but is available to be hired out, and hosts events such as weddings, private parties, gala dinners, concerts, music festivals and an annual triathlon. The venue has also been used as a film location for productions including Songs For Amy, TG4 series Rasaí na Gaillimhe and Irish co-production Old Fashioned Christmas, which starred Jacqueline Bisset. Page generated in 0.2222 seconds.